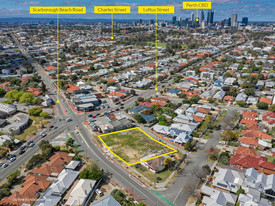 Well located within the suburb of Dianella, approximately 8 kilometres from the Perth CBD, this urban infill property provides for the potential creation of 8 individual lots or the possibility to achieve a higher ratio if dedicated to over 55 year old occupants. The alternative is for community and church groups to enjoy the substantial improvements and car parking area, knowing the underlying land value is significant. 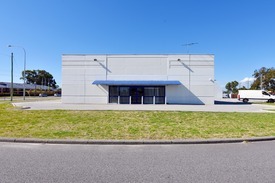 Key Features: Site area 3,036sqm Building area 348sqm Zoned R25 Approved as a Place of Worship Occupy or Develop 8km from Perth CBD Well serviced with schools, public transport and retail shopping with Morley Galleria Shopping Centre only a short drive from the property. IM available upon request. approximate. Ideal For Dance Studio From $450,000 - $900,000 ..
Units 5 and 6, 23 Rudloc Road, provide two adjoining units that have been used as a dance studio for many years. 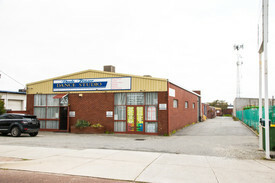 The units have been council approved as a " Dance Studio" however as the zoning under the City of Bayswater is Central (Morley City Centre) many other uses are permitted. The units provide the following: Unit 5: 221sqm Unit 6: 223sqm Suspended ceilings Sprung Jarrah floors Evaporative air conditioning Male and Female toilets Kitchenette For further information, please contact the exclusive selling agent Colm McHugh. 6.8 acres( approx 27000 sqm ) 2 homes 1 to live in and 1 with rental return suit owner wanting a rural lifestyle with income potential on property. 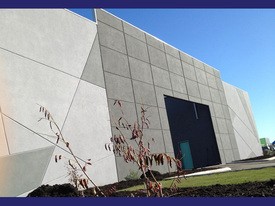 well equipped workshop with 3phase power options for various Business activities are endless Latitude 32 Industry Zone represents one of Australia's largest industrial developments comprising more than 1,400ha, Latitude 32 will provide space for existing industry to expand, particularly as suitable industrial land becomes more limited in the Kwinana Industrial Area, and for new businesses to locate to the fast developing region. 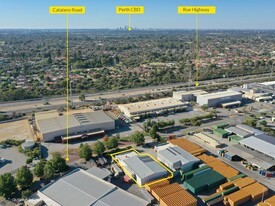 It has been specifically designed to meet short, medium and long term market demand for industrial land in the Perth metropolitan region while supporting economic growth. Mixed use zoning with 1473sqm of land. 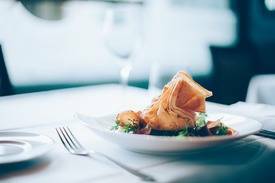 Includes 2 substantial warehouse workshops with a gross income of over $93,000 pa.